It’s getting harder and harder to find good quality cases. If you are looking for a case that gently encloses the Galaxy S9 / S9 Plus with a nice design, Ringke Air Prism case is here for you! 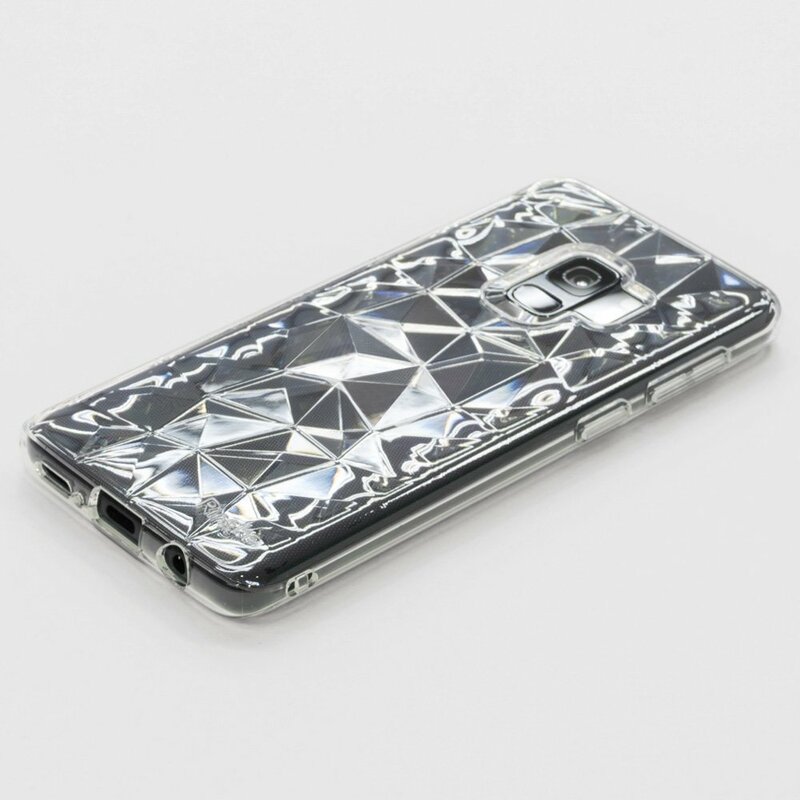 The Ringke Air Prism is a premium case with a beautifully shimmering triangular pattern. Smooth and soft prism inspired pattern keeps an elegant form offering a new and refreshing 3D chic geometric pattern. You can also decorate the Galaxy S9 / S9 Plus with various shapes that change depending on the light. The stability and stylishness that gently hold the smartphone makes the Galaxy S9 / S9+ series safer and more special. The Ringke Air Prism case was created by a professional design team in mm-grade design. In addition to protecting the impact with a thickness of 11.9mm, various button and fingerprint recognition sensors are easy to approach. Air Prism is perfectly built to emphasize slimness while providing long-lasting snug fit for vital contact surface points. The dot processing design has been applied in Air Prism to reduce the inconvenience of use of Bixby home buttons, functions, and ports. Moreover, enhanced swipe-friendly front bezel covers all four infinity display edges in a modern rounded side bezel that allows instant launch of the edge panel. Tapered lip that lifts the screen away from flat surfaces against daily use scratches. Accurate design was made to use various holes smoothly. Rear camera bezel allows instant access to the fingerprint scanner in a smooth transition slope area that is quick and easy to locate. Meet the Air Prism in three colors! Air Prism case comes in three colors, including Clear, Rose Gold and Ink Black. Especially Galaxy S9 series boasts lilac purple color with rose gold. Previous Entry Touch Screen Sensitivity Comparison Test ! !